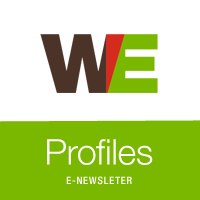 In our May WE Profiles E-Newsletter, we discuss how Passive House is gaining popularity as a sustainable building design practice. Some of the projects highlighted in this issue include residential development Eton at Wesbrook Village on the University of British Columbia campus, Avenue 33 in one of Calgary’s newest communities and how WEC contributed to Canada 150th celebration through the Capital Boulevard Legacy Public Art Project! Click here to read more!